This session covers an area exceeding 85,000 square meters and convenes over 820 most prominent suppliers all over the world in the home & gift industry to come and participate at the exhibition. A group of renowned leading enterprises come together as an all-star team, including Fujian Minhou Minxing, Eastown Creation, Anxi Yinfa, Anxi Jufeng, Fuzhou Home Broad, Fuzhou Ivy, Shenzhen D’SILY, Quanzhou Nayang, Xiamen Hanak, Ningbo Kwung’s Wisdom, Shanghai Sincere, Shanghai Evergreen, Zhejiang Xuri, Zhejiang Wadon, Huangyan Grace Handicrafts, Zhengzhou Homepaint, etc. Emerging companies like Guangdong Eagle and Chaozhou Jinxing also participate in the exhibition, showing their unstoppable influence in the industry. Attributed to the cooperation between leading and emerging suppliers, this session is a pioneer exclusive launch of many cutting-edged products, providing buyers choices with even more variety and freshness. 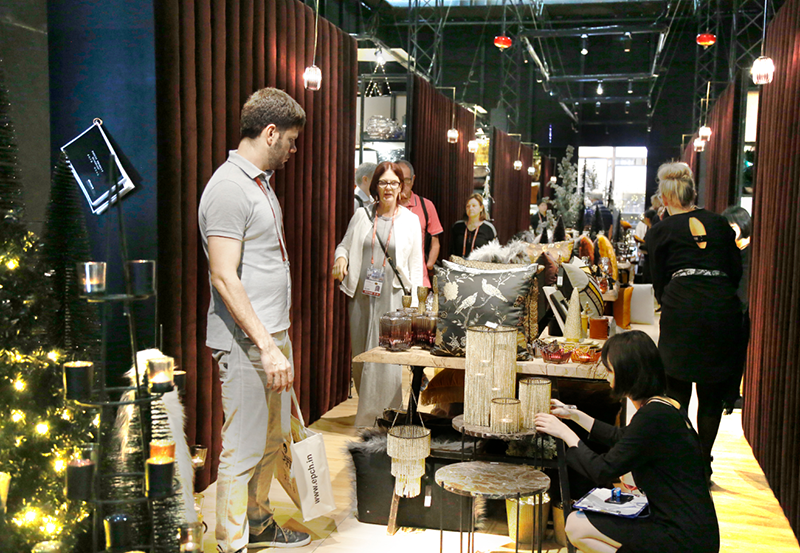 Seven day's exhibition which will attract top buyers from over 160 countries and regions to crowd in and purchase the latest products, will demonstrate the new trend of the home & fair industry to the world. Influenced by a variety of factors including the risen price of upstream chemical materials, the ‘environmental-friendly storm’ and the ‘cutting overcapacity’ policy in China, the raw material prices of home & gift industry have gone up in different degrees and the product price has also recovered to a normal level. Under such background, low price selling no long serves as the competitiveness of home & gift industry; several rounds of ‘shuffling the cards’ as elimination process of the inferior companies have rendered the leading enterprises even more powerful and their status more solid in the industry. Mr. Yi, Managing Director of Anxi Yingfa Home Furnishing Co., Ltd, said that the iron price had only increased for 8% compared to that of 20 years ago, thus current industrial price fluctuation was beneficial to the industry in a long term. With the price going up, a number of low price but unqualified enterprises will be eliminated in the competition, which will push more enterprises to invest capital and resources in product design and operation upgrade, raising the added-value of their products to get an upper hand in bargaining price. To cope with the pressure brought up by the risen cost, some enterprises innovate to change their product design by varying the proportion of different materials (i.e. wood, iron, ceramic and plastic) used in their products and substituting them with cheaper materials to remit the impact of the increased cost. JINHAN FAIR, as an efficient trading platform connecting Chinese manufacturers and international home & gift market, has always strived to select and attract more outstanding exhibitors and qualified enterprises to come and participate. We keep upgrading the inner quality of the exhibition in order to satisfy various and multi-layer procurement requirements of different buyer, helping global buyers to search for the latest product with highest market potential and look for the qualified suppliers in China and other Asian countries. Global trade has been recovered since 2017 and after two years' decrease, China's foreign trade finally returns to the stable and prospectively going upward. However, the rising ideological trend of anti-globalization, together with the aggravation of protectionism and the uncertainty of global economic recovery, has created a complex economic environment for enterprises to survive and thrive. Many enterprises are now undergoing secret transformation to raise its value in the production chain. Some enterprises have changed their thinking mode and started liberating themselves from being mere producers or suppliers; they try to get rid of the OEM/ODM mode and create their own brands. By establishing companies and warehouses in Europe, they optimize their product design and quality, MOQ, logistics and transformation and delivery term in an overall scale to participate in the competition with local suppliers in the European and American market, carrying out a new road of' oversea exploration' for Chinese home & gift enterprises. 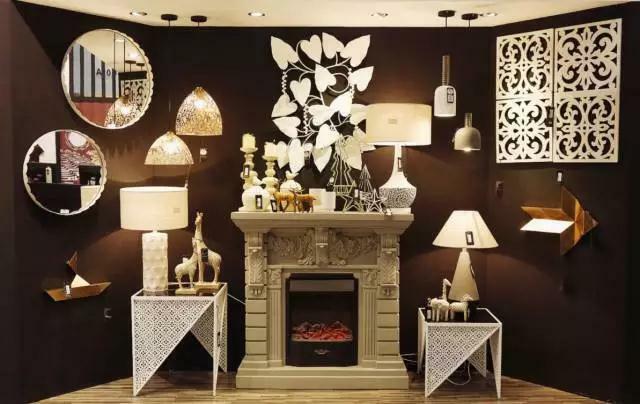 Mr. Zhang, Managing Director of Qingdao Fuhai Home Furnishings Utensils Co., Ltd, suggested that the previous trading mode of making money through price disparity had gone under recession, while building one's own brand was the new trend. We try to jump out of the traditional thinking pattern, going abroad to participate in the direct competition with European local supplier. We also plan to open retail stores in Europe in the future to gather first-hand information on consumer habits and preferences. To secure a qualified and efficient production supply and to keep market competitiveness, numerous international buyers tend to establish a long-term and stable cooperation with qualified suppliers. 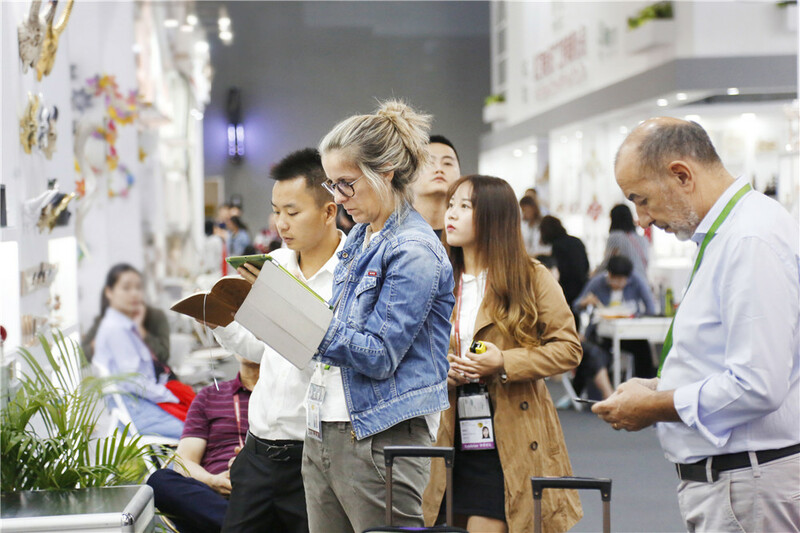 Meanwhile, the hosting team of the Fair has put great efforts in inviting overseas buyers by entering the European, North American and Australian markets and sending direct invitations to international buyers. After 18 years' development, JINHAN FAIR has already become an indispensable stop for global top buyers in their procurement schedule of the year. Over 120 retailers of the World TOP 250 make their procurement in JINHAN FAIR. Walmart, Target, Wm Morrison, Bed Bath and Beyond, Ross Stores, Michaels and Hobby Lobby from the US, Lidl, Metro, Rewe, Dirk Rossmann and Globus from Germany, Auchan and Casino from France, J Sainsbury, Kingfisher, John Lewis and Next from the UK, Migros from Switzerland, H&M from Sweden, Inditex and El Corte Ingles from Spain, Dansk from Denmark, Colruyt from Belgium, Magnit and X5 from Russia, Woolworths and XXXLutz from Australia, H20 Retailing, Shimamura, and Nitori from Japan, Lotte from Korea, Cencosud and Falabella from Chile, Soriana and Liverpool from Mexico and Steinhoff from the Africa, etc. have all registered for their procurement schedules in this session. The first opening day has seen procurement teams from Walmart, Z Gallerie, Kirkland’s, Christmas Tree Shops, Home Centre, BURTON + BURTON and Koopman sending multiple sub-teams to the exhibition and booking the latest products for this season. Apart from regular major buyers, the quantity and quality of new buyers have also improved significantly. Ms. Michelle Lekkerkerker, the responsible person for procurement of Action Imports—a Canadian importer who is a regular buyer of JINHAN FAIR, said that in recent years, the consumer capacity of the younger generation had greatly increased, who prefer simple but fashionable， youthful design. The procurement team of Action Imports comes to JINHAN FAIR every year, searching for the latest product and the newest fashion trends. The main target procurement products of Italian Esperienza Snc. Company in this exhibition are lightings, wall decorations, oil paintings, home decorations and iron art, etc. 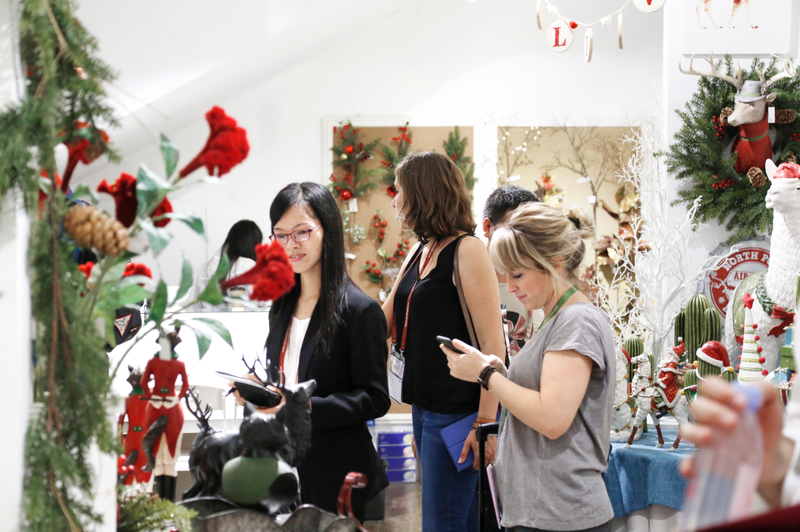 The designer Susan Janet believes that the European market is under recovery, and the products they procure in JINHAN FAIR are made of increasingly environmental friendly materials with mid-to-high end quality, which caters perfectly to the consumer habit of European local market. The coming six days will witness a competition among the most prominent home & gift suppliers in the industry and a gathering of top buyers all over the world. Tens of thousands of delicate home and gifts will be displayed on spot, showing the most up-to-date trend of the next season. Tomorrow will be another day full of surprise and excitement! Coming soon!